Alex Maes and LEW LOH are songwriters from Berklee College of Music. Each share a passion to share their story with others through music. Come enjoy a night of thoughtful and energetic music at the Lilypad November 8th at 10pm. Alex’s mission is to spread positivity through her music and to empower people to create a social change. Her songs address the questions we have in life, the struggles we experience, and the relationships we have. This, combined with intricate melodies and strong rhythms, creates songs that are catchy, creative, and exhilarating. Since age six, Alex has studied piano with an emphasis in songwriting and contemporary music. Three years later, she began learning vocal technique and in 2010, Alex formed Red Bandana, an all-girl pop rock group. Red Bandana traveled around Colorado performing Alex’s original material in venues and festivals such as the Tabor Opera House, Colorado State Fair, and Fibark Festival. After Red Bandana, Alex began her solo career, debuting a five song EP in the spring of 2016. Alex continues to arrange and develop songs and has performed at venues and festivals such as the Gentleman of the Road Festival, Laughing Goat, Walnut Room, and Salida Steamplant. Currently Alex studies Songwriting and Performance at Berklee College of Music in Boston, Massachusetts. 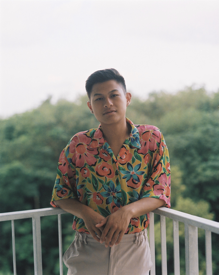 LEW, is a twenty two year old singer-songwriter from Singapore, who translates something intangible, emotion, into an embrace that is rough but real. In 2017, LEW released his debut album “Lullacry” at his sold-out album launch. “Lullacry” reached #1 on the Singapore iTunes Charts, #6 in China and #9 in Taiwan respectively, and has now amassed over 3.7 million plays on Spotify. The acoustic-pop artist will release 2 EPs in 2018. Cilla Bonnie - EP Release!